Many improvements have been made since artificial turf came on the market. There are now more than eleven choices of leaf designs. This is what we call “Blade Technology.” While faux grass is nothing new, the way it is being used is new, and it’s exciting to see all the creative ideas. Artificial grass supplier, Watersavers Turf, has over 28 years of landscaping experience and can offer advice on what blade technology is best for your landscape installation. 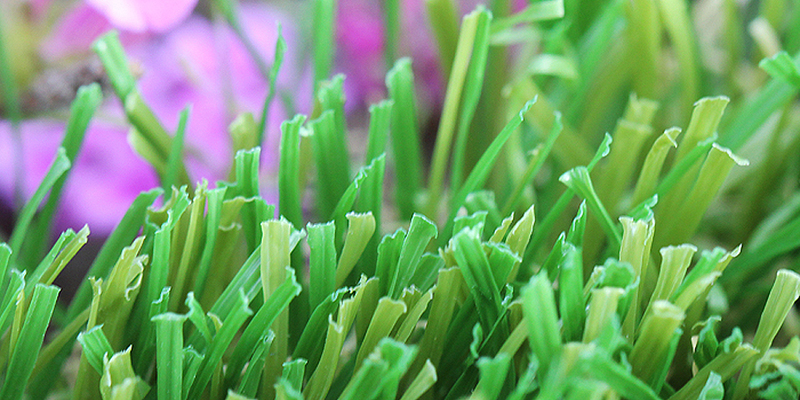 There are several artificial grass blade designs to choose from depending on its use. One of the most popular is the diamond blade for its durability, look and feel. For a more realistic look, go for the seven stem design. In high traffic areas, the double W blade design is a good choice, and it resists high temperature. Used on playgrounds and sports fields, the U-blade is also a durable option. To get rid of the shiny look that some turf has, the M-blade allows light to pass through its surface. Stem grass is another popular choice. It looks and feels realistic and has a hollow blade design that keeps the surface cool on hot summer days. The V-shape and C- design blades are intended to make the blades stand upright especially under pressure. The S-blade reflects sunlight eliminating a “white” look. The W-blade stays cooler than other grasses on the market. Depending on your needs there is a blade design for everyone. Performance –Hollow Blade, W-Blade, C-Blade, and U-Blade. These styles are good for high traffic and are very durable. Moisture Retention –W-Blade contains Cool Max Technology, reflects sunlight and is 15-20 degrees cooler than other styles. The Hollow Blade keeps moisture in the stems longer cooling down the lawn. Less Shine –S-Blade diffuses light to eliminate shine. M-Blade allows light through to get rid of the shiny look of many types of faux grass. Realistic – stem grass blades are the most popular blade design because they look and feel like real grass. Thatch – this holds up the blades making it look real and is brown or green. Height – the pile height of the blade itself. Face Weight – number of ounces per square yard, the more blades and thatch the higher the face weight. Backing – three layers of fabric and polyurethane (glue) with the exception of Pet Turf, WST85, which is a completely woven product. The latest in cool grass is KoolMax technology which allows heat to dissipate passively. It keeps your lawn up to 15% cooler. This can be achieved with products that have the W-blade design. Flo-Rite-Thru design is the secret that will keep your synthetic lawn virtually odorless. Liquid drains through it which makes keeps our product looking and smelling good. The way to achieve that fresh cut grass smell on your artificial grass is with Freshcut Technology without any of the work. This wonderful natural scent is available by special order. The artificial turf blade technology of today has improved a great deal and will continue to do so in the coming years. You choose the features you are looking for in your lawn, and odds are you will find something that fits the bill. For more information contact us today!